Entering the port or walking through the streets of old Heraklion, visitors encounter an awe-inspiring building, known to the residents of Heraklion as “Megaron Fytaki”. 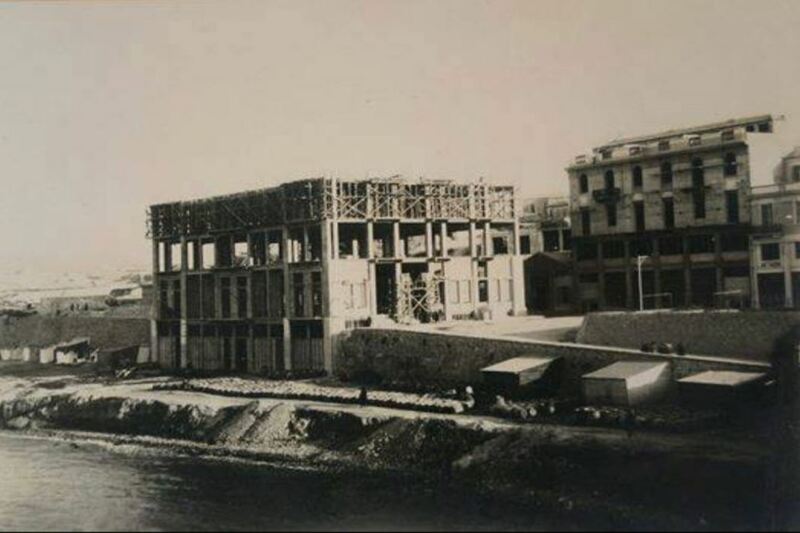 Although derelict for a number of years, during the 1930’s the Megaron was the center of political, social, financial and philosophical life in the city and prefecture in general. 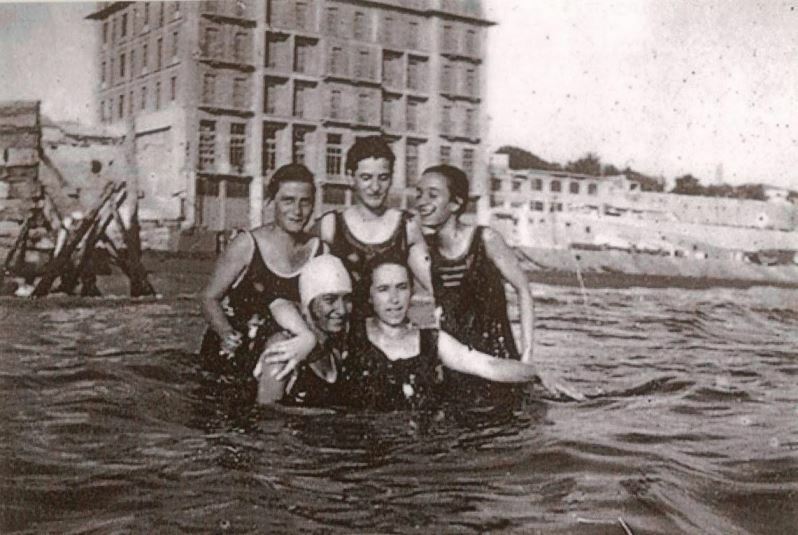 And during that decade the whole beach was used for swimming by daring residents of Heraklion, who started hesitantly and sometimes secretly to appear. In front of the Megaron, some distance out to sea, there was a protruding old Turkish shipwreck. Whoever managed to swim out to it was considered an excellent swimmer. The jetty, which was under construction during that period, in time changed the direction of the waves thus benefiting the Megaron. There, on the shore, the owners had set up an outdoor factory. Piles of citron and wooden barrels open on top. A skillful worker holding the citron in his left hand would cut the citron into two equal parts with a sharp knife, without cutting or injuring himself and would throw it into a barrel. When it was filled to the top, he poured in sea water then also reinforcing it with salt. After this rudimentary industrial process, the citron was sent mainly to England for its final processing and manufacturing of sweet peel with which the English produced their traditional Christmas pudding. One of the two citron traders, Fytakis, was originally involved in the fruit and vegetable trade as a wholesale grocer and later switched to citron trade. Citron was in great demand from foreign buyers with prices constantly on the increase, not only day to day but often during the same day. Its price had exceeded 28-30 drachmas an Oka (1.280 grams) when the average daily wage was only 20-25 drachmas. 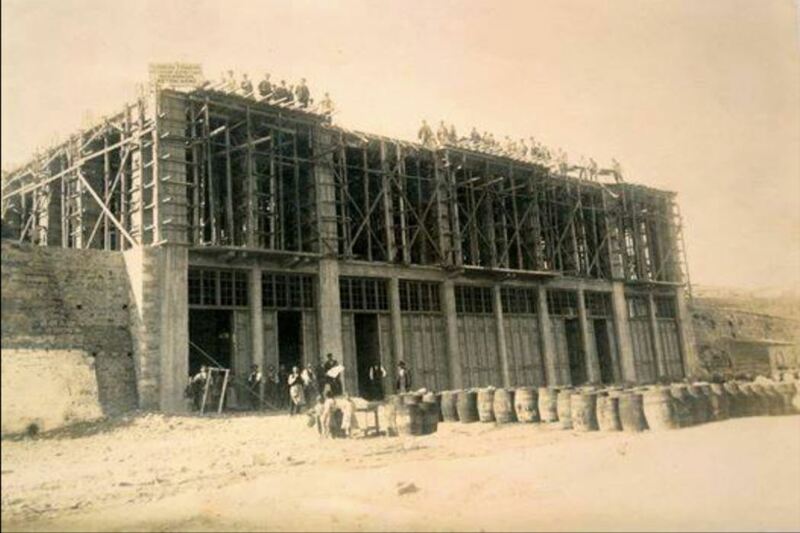 In this way, they made a huge profit and they decided to invest in the reconstruction of the Megaron. However, their ambitious plan to create their own autonomous processing and production plant of sweet peel was the beginning of their downfall. Foreign industries boycotted Cretan citron and purchased their produce only from Corsica. The most remarkable cultivation center of citron was the Municipality of Lagados, especially the villages of Avdou, Potamies, Gonies and Sfendili. This whole area experienced moments of great prosperity during the 20’s. However, as it is always bound to happen, poverty took its turn. At the end of this decade an incurable disease of the citron tree, Phyloxera, “the citron cancer” contaminated the trees of the area and literally vanished them. It was the decade of the 30’s. The Megaron rose imposingly. All the prosperous Heraklion families resided there. 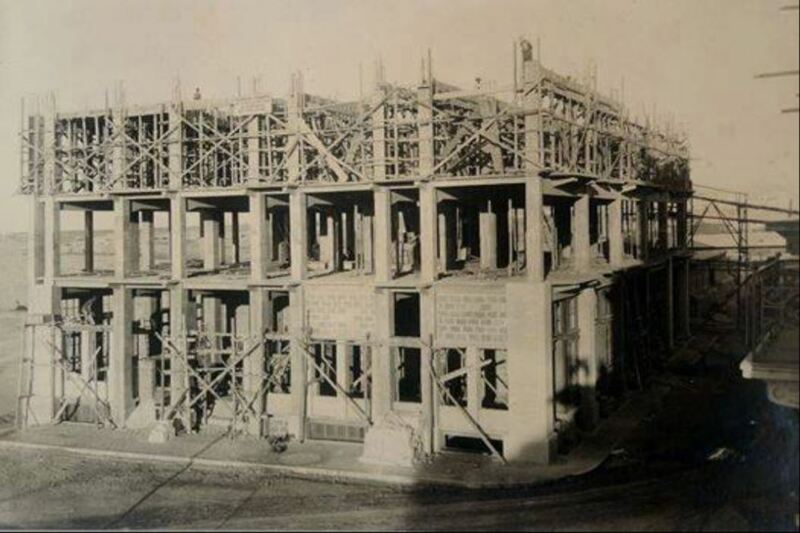 Its ground floor housed the Heraklion society where affluent residents, government representatives and commercial trading houses gathered. They were the ones who determined the financial status of the island. Dance evenings, social gatherings and charity events were held every Saturday on the ground floor of the building, while the Triantafilaki dancing school saw to the dance training of its members which also ran on the ground floor of the building. 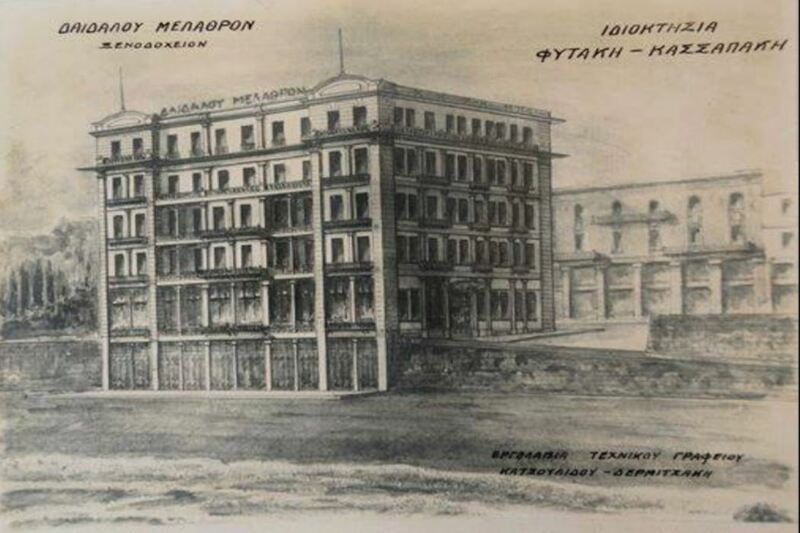 During the German occupation the “Theotokopoulos association” housed the prefecture of Heraklion in its quarters. Towards the end of the German occupation, a fleet of German ships sailing away from Heraklion towards Africa, was the target of an English bomber attack and was destroyed. One of the ships that had caught on fire, however, managed to find shelter in the harbor of Heraklion. The fire moved towards the ship’s hold which was full of war supplies and the explosion that followed severely damaged, among other buildings, the Megaron. Thus, the entirety of the Megaron residents, who wrote its history with their lives, left just like its glory left with them. Today it is characterized as a work of art and a historical preserved monument. 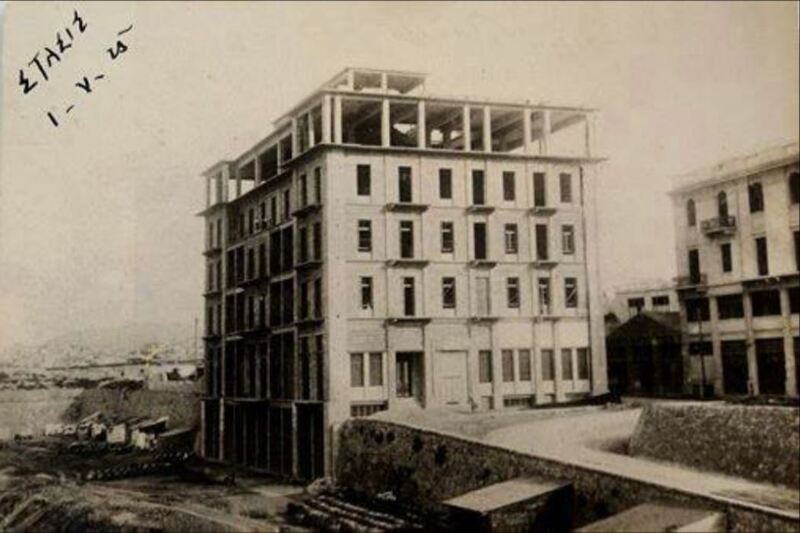 Luckily this unique building, both for Heraklion and the whole island of Crete, was radically renovated and transformed into a magnificently luxurious hotel. We welcome you to Megaron which will impress you with its every detail and charm you every step of the way. 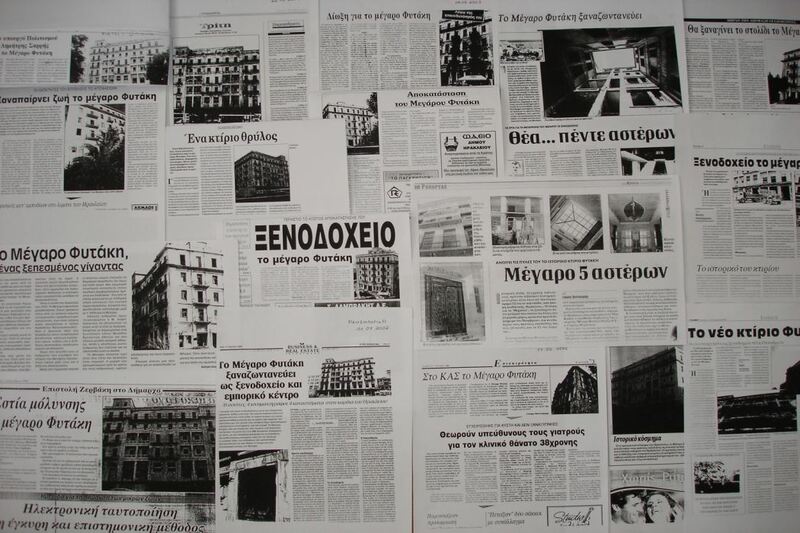 Extracts of the book “Letters commemorating oblivion” by St. Vasilakis have been used for of this text.